UK retailer Waitrose is upping its commitment to speciality beer by adding 25 new beers to its range. The new beers include three can beers from Bavarian family brewery AND UNION. The additions will take the number of beers in store next month from 70 to 95, an increase of 27%, and includes beers that haven’t had a national listing before. It comes after the retailer saw its sales of speciality beer rise 33% in the last year, with 330ml cans growing at a faster rate than bottles. Waitrose beer and cider buyer Sarah Hammond said the innovation in the sector meant was an exciting time for beer and cider drinkers. “To me, the craft beer movement is all about the re-discovery of old styles, giving them a modern twist and pushing the boundaries. We’ve seen some amazing innovation in the last year,” she said. “The diverse range will now include a tea infused-beer, a 750ml wild yeast beer with a wax cap, punchy ABVs and more styles of beer than ever before,” she added. Waitrose said it was investing in smaller breweries, stocking beers such as Toast Ale, made from surplus bread, and experimental Bethnal Green-based brewery Redchurch Brewery, as well as beers from Wild Beer, Five Points and Alchemy. As well as UK-based breweries, the range will include the tea-infused beer, Yeastie Boys Gunnamatta Earl Grey IPA from New Zealand and three canned beers from Bavarian family brewery And Union. 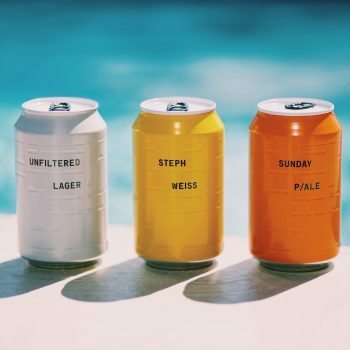 The move follows Tesco’s revamp of its craft beer range last month, which saw around a third more beers added to the range, taking the total to 70. Tesco craft beer buyer Chloe Harrison said the UK’s thirst for craft beer showed no sign of slowing down. It coincided with the retailer cutting a number of more mainstream beers from its range, including a number of Heineken products and upping its focus on low and no-alcohol wines.